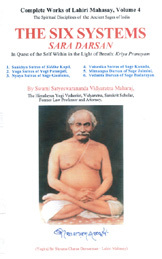 Lahiri Mahasaya Books - Discover Lahiri Mahasaya Books At Vedic Books - Books From India Direct! The teacher of Sri Yuketswar and the teachers teacher of Paramahamsa Yogananda. A great exponent of Kriya Yoga and simple living. 05. Who is this Shama Churn?